Willis Tower, formerly the Sears Tower, is the tallest building in the Western Hemisphere. 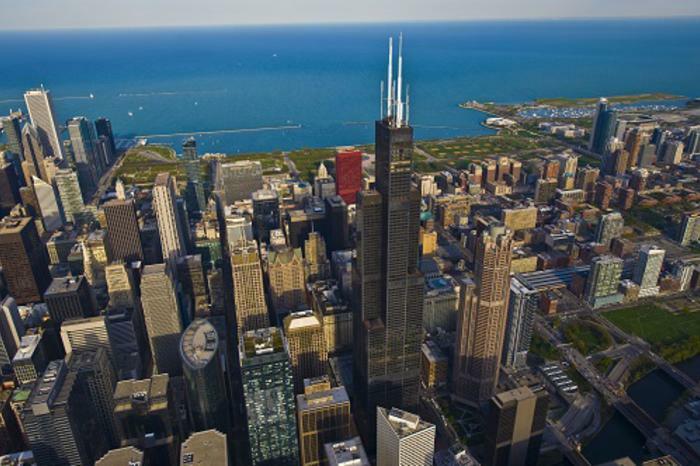 It&apos;s home to Skydeck Chicago on the 103rd floor, which currently welcomes 1.7 million visitors annually and is the highest observation deck in the United States. After one of the fastest elevator rides in the world, you&apos;ll be greeted with jaw-dropping panoramic views that can span up to four states and nearly 50 miles on a clear day. A highlight is The Ledge, a first-of-its-kind attraction, where guests can dare to step out onto a glass balcony that extends four feet beyond the building. The experience offers an unforgettable view (and photo) from 1,353 feet up in the air. 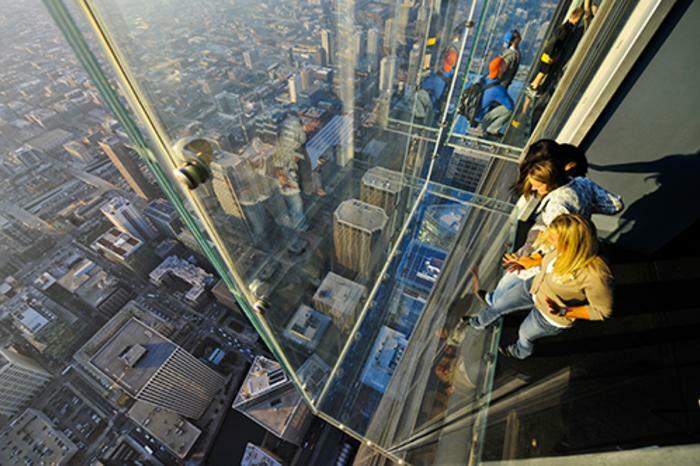 Skydeck Chicago also features featuring interactive, museum quality exhibits about the city and its architecture. The theater presentation of Reaching for the Sky is a nine-minute movie that tells how the Willis Tower went from dream to world icon, putting Chicago on the architectural map. And don&apos;t forget to pick up a souvenir at the Skydeck Gift Store. Tip: Time your visit to Skydeck Chicago at sunset to see the city transform from day to glittering night. Purchase tickets now, with options that include Early Bird (Sat. and Sun. only) and Fast Pass admissions. Make your visit even more special with a Dining in the Sky package, including Breakfast in the Sky (offered weekdays only) and Lunch in the Sky on the 99th floor (offered weekends only), or VIP Dinners on the 103rd floor, featuring Giordano’s deep-dish pizza.